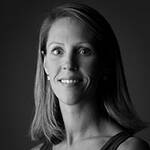 Alicia Singer is the Marketing and Development Manager for Montana Ballet Company. Ms. Singer has an extensive dance background that informs her work in the non-profit arts sector. 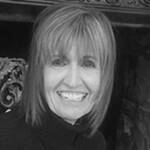 She trained and performed for over ten years with Rocky Mountain School of the Arts in Cody, Wyoming, where she developed a passion for the art form of dance, as well as an understanding of arts management. Ms. Singer attended the University of Nevada, Las Vegas as a Dance and Journalism major, and completed her Bachelor of Science in Public Relations and Communications Studies at Montana State University, Billings. She then went on to work for the MSU Billings Foundation where she joined a development team to launch the “Opportunity Campaign for MSU Billings students,” specifically designed to support low income college students. Ms. Singer later joined the Museum of the Rockies (MOR) Development Team, where she managed sponsorships, benefit events, and annual giving. She also worked on the Digistar 5 Planetarium Campaign, successfully bringing a new planetarium to the museum. Ms. Singer has also worked as a consultant, supporting businesses with their operational, strategic, marketing, and development needs. Ms. Singer is excited to return to her artistic roots and advocate for and support Montana Ballet Company, an organization close to her heart.